Total 68.5 acres with high visibility frontage on east side US Rte 15 immediately north of Rte 394 interchange. Over 2850 ft. frontage on both sides of Zepp Rd. Crop lease thru 2018. c. 1890 farmhouse in need of renovation. Bank barn, pole barn & additional farm buildings. MU-1 zoning allows residential & certain business uses. Note: Subject to final township subdivision approval. 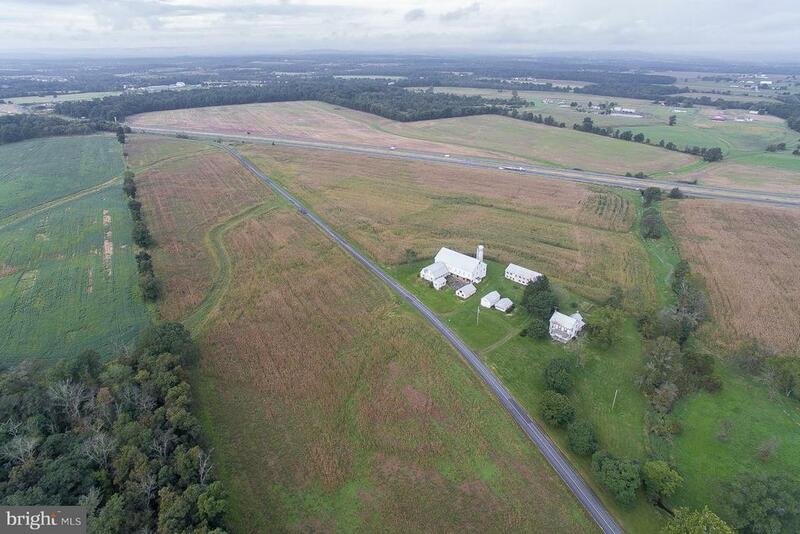 68.5 acres includes 10.36 acres in Rte 15 R-O-W. Final acreage subject to survey.